Receive a monthly summary of sponsor opportunities by email? We will never rent, sell, or share your information. To take advantage of these opportunities, call +44 (0) 207 368 9484 or email at CXsponsorship@iqpc.com for further details. 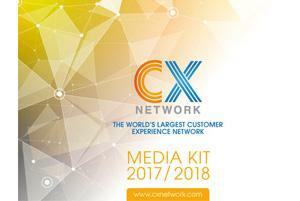 Download our Media Kit for a list of packages we offer, including whitepaper & case study campaigns, market reports, customer content, online events, video opportunities and much more. Why Work With CX Network? It's that time where people start looking ahead and make budget plans for the year ahead. And what better way to reach your targets than by generating quality leads, demonstrating thought leadership and increasing brand exposure in front of a highly engaged audience? 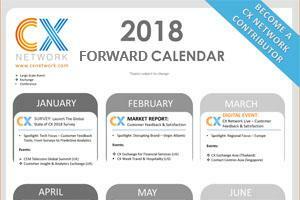 Download CX Network’s 2018 Forward Calendar for an overview of they key topic areas we’ll be covering throughout the year, as well as our monthly and quarterly in-house produced expert reports with which you can align your branding. We write the content, we deliver you the leads. This case study outlines how Clarabridge met their goals through online lead B2B marketing activities to increase brand awarenese, generate marketing qualified leads, and be seen as a thought leader.